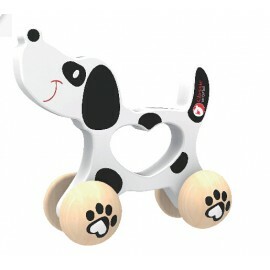 "Classic World Doggy is a perfect friend for your little one. So many kids dream of having a dog so why not to start from this? This cute wooden dog is the perfect size for little hands. Encourages imaginative play and boosts coordination, balance and grasping skills.